A.P. McCoy, Grand National 2010, signed 12x8 inch photo. A.P. McCoy, National Hunt jockey, signed 12x8 inch photo. A.P. McCoy, signed 12x8 inch photo. 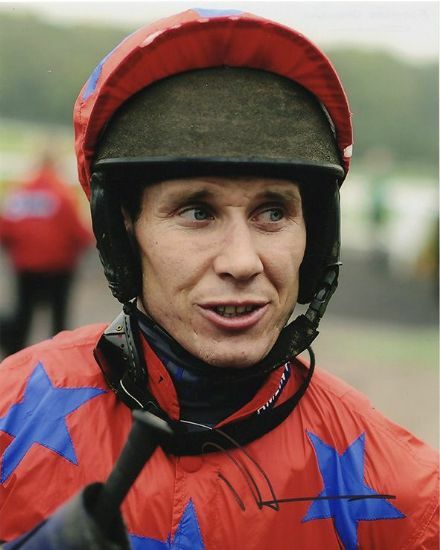 Richard Johnson, National Hunt jockey, signed 10x8 inch photo. Tony McCoy, signed 12x8 inch photo.